My blogging friend, Amanda Simkin, blogs over at Queen of the Land of Twigs ‘n’ Berries – she is a Mommy blogger in Chicago and her posts are always informative and entertaining. 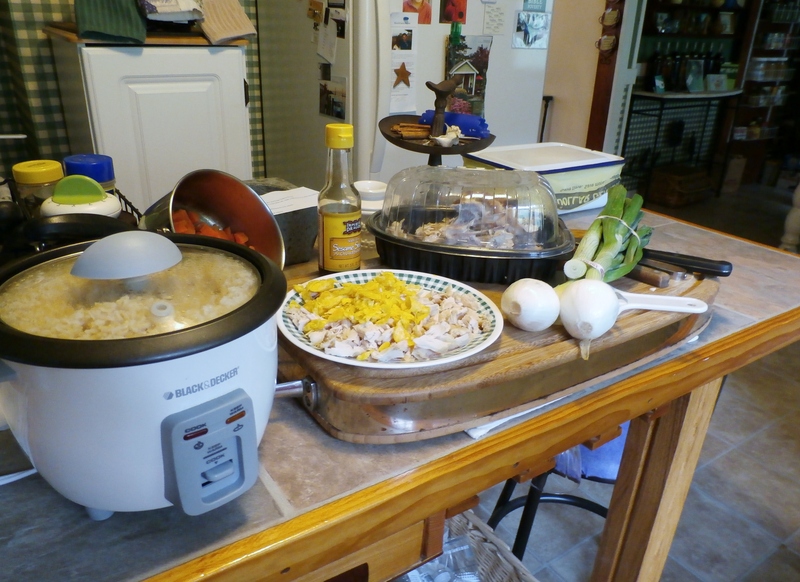 She posted ten recipes (here) a few weeks ago using one of my faves, rotisserie chicken – one of the recipes has already been prepared twice in this North Carolina kitchen. I think you would enjoy it too so I’m sharing on Tasty Tuesday! Saute the cabbage or any other fresh veggie that needs a little pre-cooking and I use sesame oil to keep the flavor consistent. 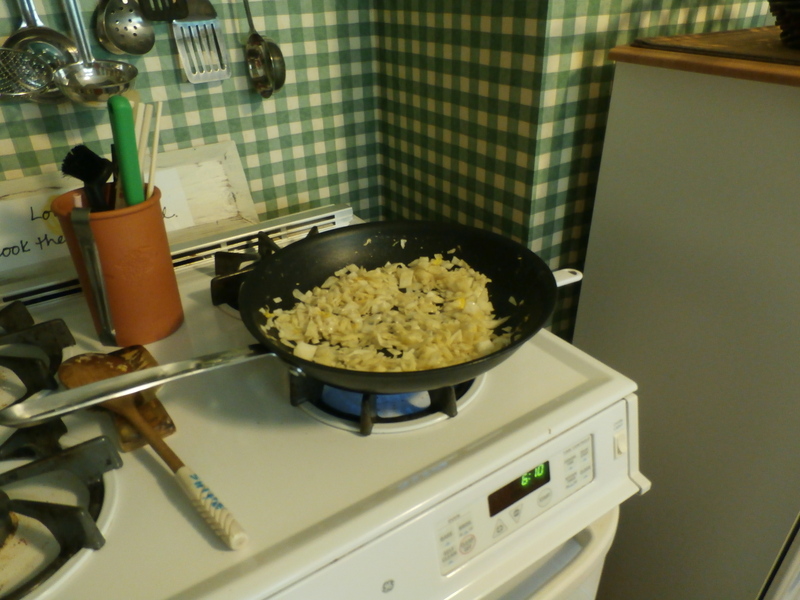 Add the rice, the eggs, the chicken, the veggies, the liquid and saute together in a wok or large high-sided skillet. Garnish with the chopped green onions and serve! If you’re blessed, hubs brings home egg rolls from your favorite Thai restaurant to eat with this simply delicious meal! Maybe we should call it “Nana’s Chicken Fried Rice”!!! We just love it. Yummy! That really does sound delicious! Now I’m hungry. Be sure to check out Amanda’s other great chicken recipes. This sounds like a delicious recipe! Yum! Carrie, it’s great and simple! My favorite kind! Heading over to Amanda’s site now. Rotisserie Chicken is one of my fast and easy favorites too! Thanks for sharing. She had some good ones posted! yummy! Your kitchen wall paper is adorable. Martha, it is so outdated but I still love it – now, I call it “French Country!” Thank you. Laura, you won’t be disappointed! I love fried rice and have been looking for a good recipe! I am going to give this one a try. I am glad I was linked up next to you at the Women With Intention blog hop. Miranda, I think you’ll like this simple recipe! That looks delish! I am totally going to have to try that recipe.